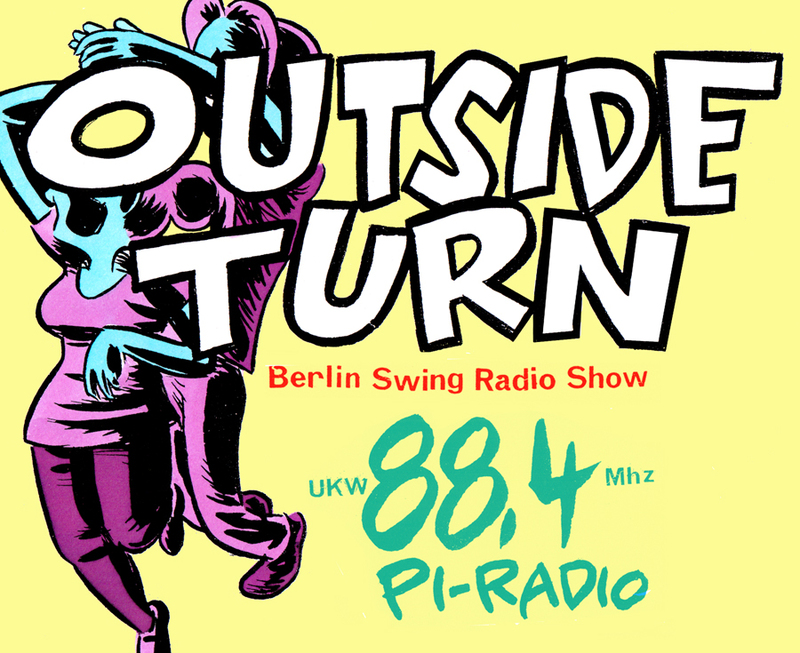 Apart from my regular radio show ( together with the comrade from OSTBERIN BEATET BESSERES) local swing activist and DJ Jörg Heidemann and me have been doing OUTSIDE TURN, a swing radio show on Pi-Radio since January. After a summer break we´re back again tonight ,Wednesday, Sept 12 from 9:30 to 11 p.m., CET. Tonight we´ll be trying to surprise each other and the listeners with all kinds of jazz related dance music that we acquired during the past months. OUTSIDE TURN can be listened to locally on 88.4 FM on your dial or streamed directly on Pi-Radio. You played good music. The two songs I liked most: the Get-up, Stand-up-Cover and the duet that came instead of the announced Nat King Cole. What are the band´s names? The sound of the radio microphone is quite tinny (blechern).